Las Vegas is a very bad place for skin. The casinos are full of smoke, the air is dry, and there are damaging UV rays everywhere because well, it’s the desert. And while I packed some cheap moisturiser and sunscreen for my trip to CES 2019, I have admittedly been very remiss about maintaining a good skin care regimen. Well, thanks to Olay I have been scared straight. Skin tech is having a moment at this year’s CES, but Olay’s is the only one with a Future You simulation to show you what you’ll look like in 20 years. An Olay representative took a photo of my face with his iPad and ran it through their Skin Advisor AI to show me my future self if I don’t moisturise and use sunscreen. It’s not pretty. Olay told me the simulation was devised by studying the faces of over 1,000 women ages 10 to 80 across five major ethnic groups. At the bottom of the app, there’s a slider that lets you tweak your age older or younger by 20 years. It takes into consideration skin tone, wrinkles, age spots, as well as things like thinning lips and a more jowly face shape. A basic version of the simulation is live in Asia, but the feature will also be soon coming to the West. While I only got to see myself 20 years older, the final version will let you see the impact of a proper skincare routine, like daily SPF use, versus not. I got to see what I’d look like at 40 without skin care as well as an alternative future in which I lathered myself in product regularly. Basically, I’m going to morph into a hag if I don’t moisturise and possibly look younger if I do. I also got a chance to peek at a few other products Olay has in development. First off was its FaceNavi Smart Wand. After taking a selfie with the Olay app, through some magical algorithm, it determined my skin’s age to be 28—two years younger than my actual age. Woohoo! It then highlighted the various areas of my skin in AR. The idea is that you’d slather on a recommended Olay cream, and then using this AR map of your face rub the FaceNavi wand over the highlighted areas for “deeper penetration” and increased effectiveness. This part seemed a bit hokey, but at the very least I got a gentle face massage. More interesting was the Olay Moments. It’s a fairly unassuming tower that’s meant to live in your bathroom but functions like a skin care Keurig. 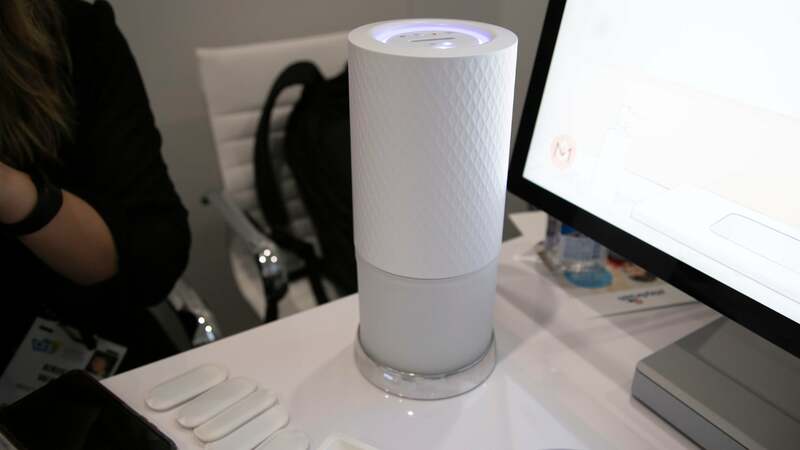 You insert a pod of a base material, and then based on your personalised skin care needs and environmental surroundings, the tower will print custom lotions for your daytime and nighttime routines. So, if you press daytime, your lotions will contain SPF. If you another you’ll get moisturiser. A second one will give you eye cream, etc. In the demo, I was impressed to see that once I’d inserted the pod, the bottom opened up so you could stick your hand in and get a dollop of face lotion. I then dreamed of a future where I could grab a giant bin and with one fell swoop, sweep all my beauty products into the garbage. There’s no word on when the tower will be available as it’s still in development, and Olay was mum about pricing as well. But regardless, it is encouraging to see companies create slightly more practical beauty tech than we’ve seen in past years. But, in the meantime, I’m going to go moisturise my face.